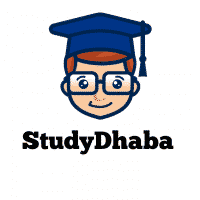 Physical Standard SSC CGL 2016 – Physical For Posts In SSC CGL – Hello Friends Welcome to StudyDhaba.com .Here we are providing you SSC CGL 2016 Physical Standard In Full Details For Both Male and female . Physical and Medical Standard prescribed in the SSC CGL 2016 official notification for male and female candidates. Here we are presenting you the same so that you don’t have any doubt in your mind and can prepare freely. Height relaxable by 5 cms. In the case of Gharawalis, Assamese, Gorkhas and members of Scheduled Tribes. Walking : 1600 metres in 15 minutes. Cycling : 8 Kms. In 30 minutes. Walking : 1 Km. in 20 minutes. Cycling : 3 Kms. in 25 minutes. Sub Inspector in National Investigation Agency (NIA) Group “B” Grade Pay 4200 with age upto 30 years. Note: Nature of Physical Disabilities permissible for this post: Post not identified suitable for PH candidates. This reputed job, No corruption, field job with special power, deals in terror attacks and and investigation of bomb blasts.